Gail Hakala is an accomplished singer, actor, adjudicator and teacher who has performed from coast to coast in all major theatres in Canada. 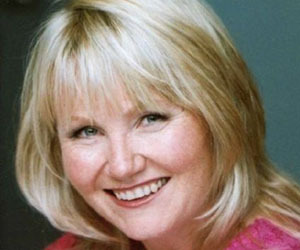 Gail was a member of the Shaw Festival Theatre Company for nine years and 20 productions. Favourite roles at Shaw include Minerva in Mr. Cinders, Bonnie in Anything Goes, Tinkerbell in Peter Pan and Netta Lake in Cavalcade. Other favourite roles: Carlotta in The Phantom of the Opera (Pantages Theatre and the Canadian tour), Magenta in The Rocky Horror Show (Bathurst Street Theatre), Domina in A Funny Thing Happened on the Way to the Forum (Sudbury Theatre Centre), Sister Mary Amnesia in Nunsense (Academy Theatre), and the Fairy Godmother in Cinderella (Stage West Calgary). Gail has also starred on the concert stage with Patty LuPone, Betty Buckley and Mandy Patinkin in The Music of Andrew Lloyd Webber (Pantages Theatre). Most recently, Gail was seen as Mavis in Church Basement Ladies (Victoria Playhouse Petrolia), Mrs. Paroo in The Music Man (Capitol Theatre), Mrs. Pearce in My Fair Lady and Aunt Eller in Oklahoma (Drayton Entertainment), Mrs. Barry/Mrs. Blewett in Anne of Green Gables (Charlottetown Festival) and Widow Corney in Oliver (Centaur Theatre). Gail is the Head of Vocal and Music Theatre Discipline at Sheridan College in the Honours Bachelor of Music Theatre Performance Program. She has been the Resident Voice Coach at the Shaw and Charlottetown Festivals and Artistic Director and Advisor of The Toronto Youth Music Theatre Company. Gail holds a Bachelor and Masters degree in Voice Performance from the University of Toronto and is an active member of Canadian Actors Equity, ACTRA and NATS.